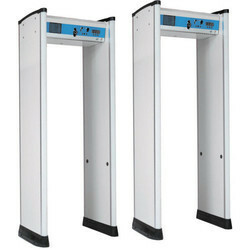 Prominent & Leading Wholesaler from Pune, we offer door frame metal detector, metal detector and hand held metal detector. With experience and expertise, we have become an expert manufacturer and supplier of Door Frame Metal Detector. The offered range of detector is broadly demanded by hotels, banks, airports, shopping malls and many more places for security purposes. Our professionals manufacture this metal detector by making use of the finest quality components and sophisticated technology in conformity with high industrial norms. 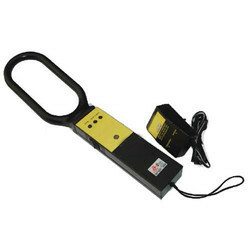 We offer Door Frame Metal Detector at the reasonable price range. 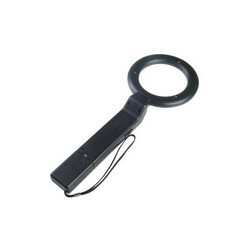 Backed by our vast industry experience, we pertain to manufacture, supply and export high quality Metal Detector. Designed with international quality standards, this portable hand-held device can detect all ferrous, non-ferrous, magnetic and non-magnetic stainless steel materials, thus plays a major role in preventing accidents. This portable hand held tool is widely used by security personals in metros, railway stations, airport terminals and socioeconomic cultural meetings. Offered Hand Held Metal Detector is highly demanded for sturdy design, rigid construction, lightweight, easy portability and longer battery life. Leveraging upon our modern production facility, we are highly engaged in manufacturing, exporting and supplying Hand Held Metal Detector to our prestigious clients spread all across the country. The metal detector provided by us is broadly required to detect offensive weapons in crowded areas like, airports, shopping complex, pubs, energy sectors, events and any other department where security is needed. Beside this, offered Hand Held Metal Detector is manufactured under the strict vigilance of our qualified professionals using optimum grade components with the help of advanced technology. 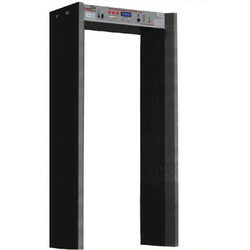 We are offering Door Frame Metal Detector to our client. We are offering Metal Detector to our client. 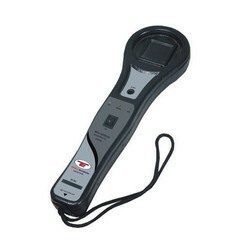 We offer Hand Held Metal Detector.